James Leach is Research Fellow in Anthropology, King's College, Cambridge, and Affiliated Lecturer in the Dept. of Social Anthropology at the University of Cambridge. Field research: Madang Province, Papua New Guinea 1994-5, 1999, 2000-2001, 2003. Published works on kinship and place, creativity, artistic production, ownership and cultural/intellectual property. (Creative Land. 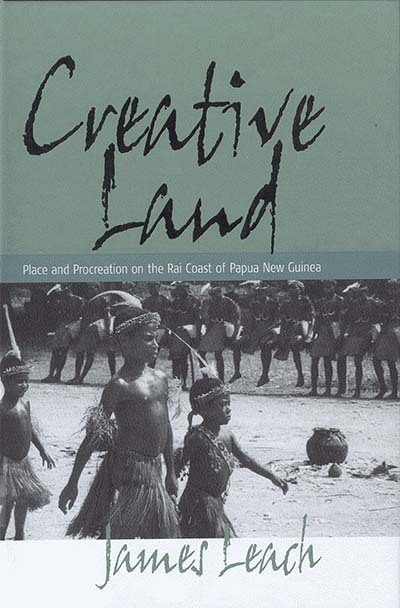 Place and Procreation on the Rai Coast of Papua New Guinea. 2003 Berghahn Books, Rationales of Ownership. Transactions and Claims to Ownership in Contemporary Papua New Guinea, (ed with Lawrence Kalinoe), 2004 Sean Kingston Publishing.) Field Research U.K.: 2002 to present, as 'Attached Observer' with artists placements in Industry and Science. Also directing research on constructions of gender among Open Source software programmers, and on artist’s relation with the law in the UK. Awarded the Royal Anthropological Institute JB Donne Prize in the Anthropology of Art for 1999, and The Philip Leverhulme Prize in 2004.